Two weeks ago, I was in a job interview type scenario [incidentally, no news on that front – this particular exploration didn’t work out] where I was asked what I liked doing for fun. Via a mutual friend, the interviewer had discovered my love of all things London Transport and so when I mentioned TfL geekery in response to this question, he wanted to know why. Given the context, I was keen to make the point that I wasn’t an anorak wearing, notebook toting geek – but what could I say? I was 11, had just started secondary school and had acquired a commute that involved a bus journey from the wilds of North London all the way to my school in Marylebone. 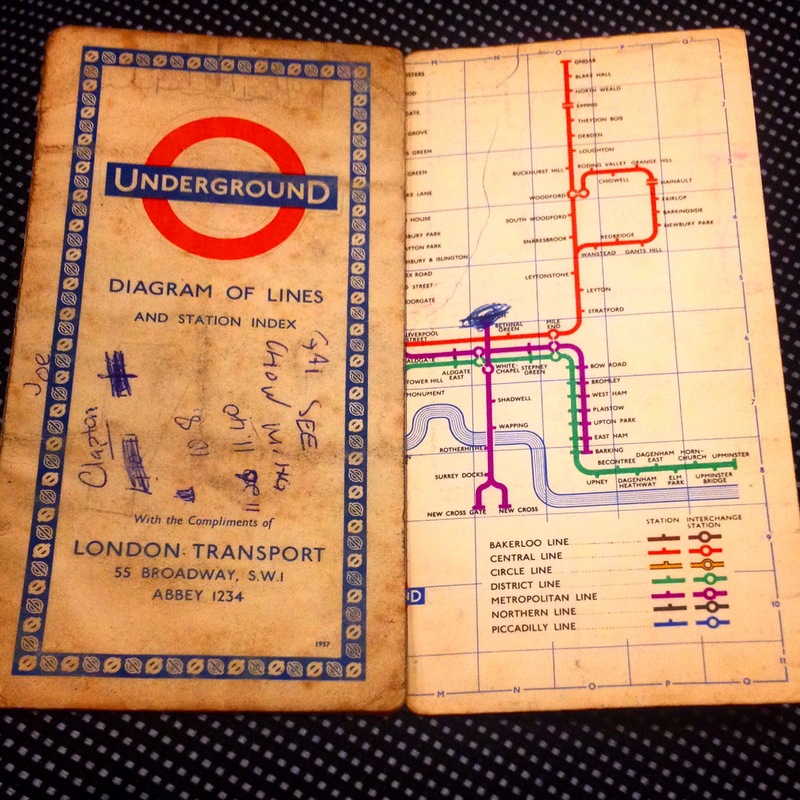 In case of detours, terrorist action, rain or simply the eccentricities of London Transport, my mother suggested I get to know a few bus routes that might be useful. By the time we left London three years later, this had turned into a somewhat encyclopaedic knowledge of North London bus routes. While the practicalities might begin a fondness for London Transport, they’re not enough to fuel full-on geek-dom. For me, the number one factor is the aesthetic – the font, the artwork, the style. Paris might come close, but honestly (and semi-unbiasedly) London wins in a contest of global public transit systems. 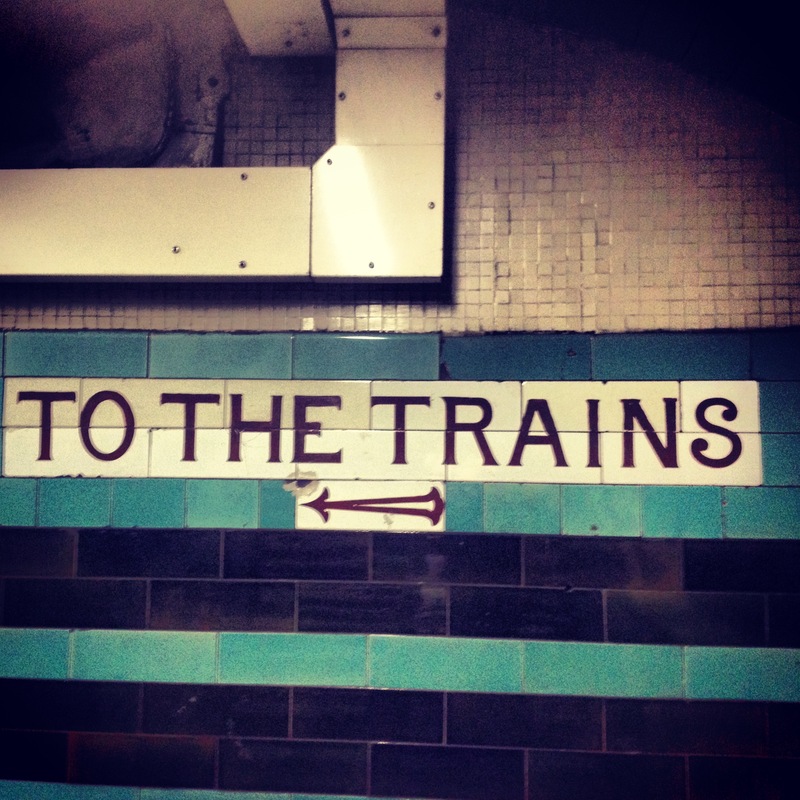 It’s the simple things, like the Johnston font that became universal across the tube when it unified in 1933, and is now found wherever TfL rules the roost. And the roundel, introduced in 1933, which isn’t just a logo or an indication of a station, but a design classic. 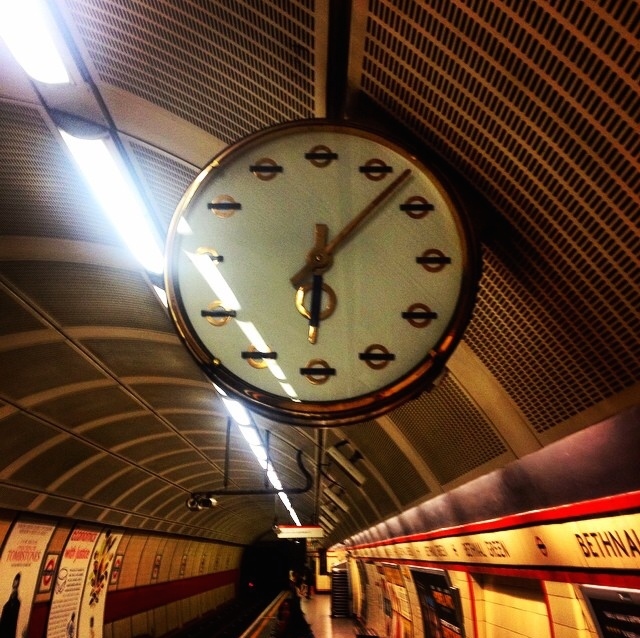 This clock is just one example of London Transport’s commitment to its house-style. 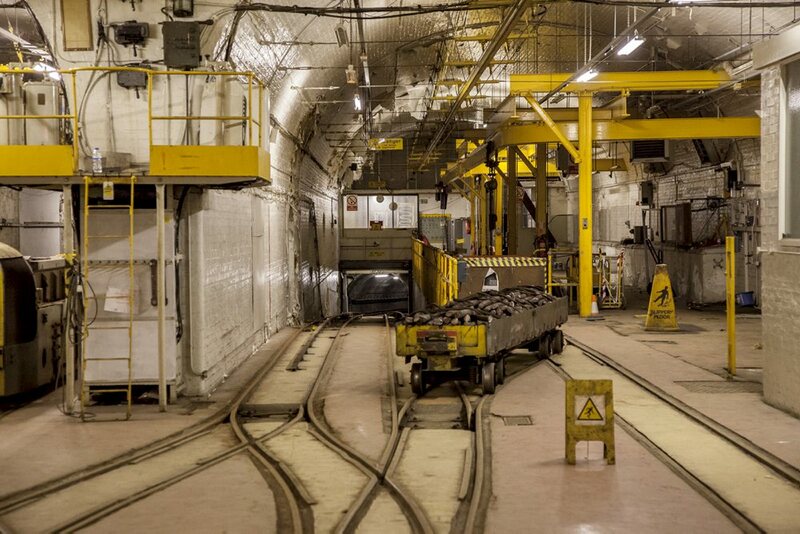 Cities like Paris and New York might keep their stations almost entirely underground, but not London. 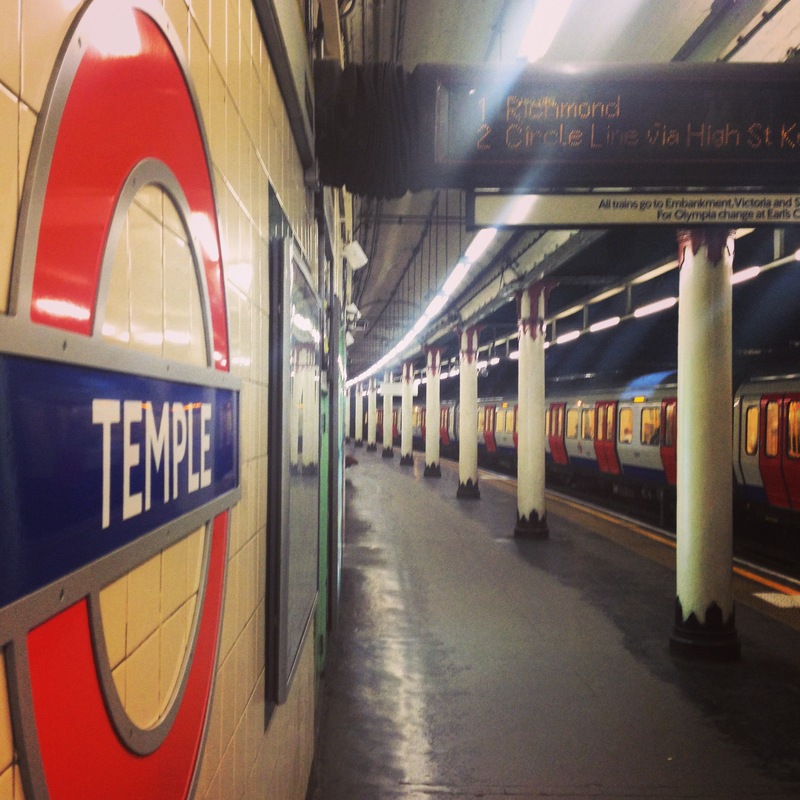 Possibly thanks to the evolution of the network over time, combined with the aesthetic passions of those in charge, the underground has a network of stations that are nearly entirely architectural icons. The earliest stations, with their platform canopies and painted columns, remain classic a century and a half on. Line extensions and renovations enabled some of the country’s best architects to leave the city with a lasting legacy. Take Charles Holden – architect of Senate House and 55 Broadway (still, but not for much longer, TfL HQ) – he’s responsible for the northern end of the Piccadilly Line’s style. Arnos Grove, Bounds Green, Cockfosters – all slightly different, suited to their context and location. Oh, and he did the southern end of the Northern Line too, and would have done the north too, had the war not interfered with getting his plans completed. What I love too, is that time hasn’t changed London Transport’s design values either. 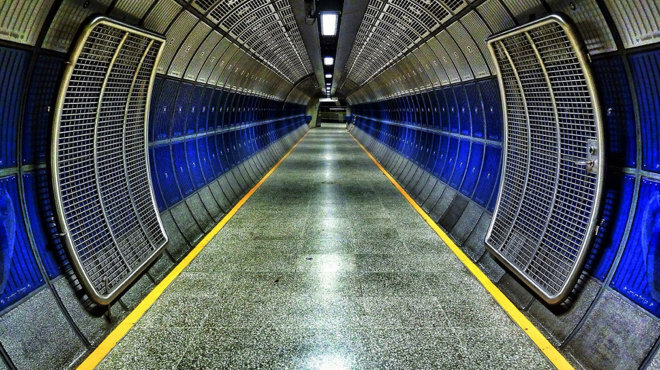 The architecture of the Jubilee Line extension is just as impressive, but in a completely different way. All of the stations on the network seem to reflect the age in which they were created. I’m pretty sure this is Russell Square – it’s certainly the colour & style of that part of the Piccadilly Line. But, the fire that helps this passion burn is the history. Seriously, if I’d thought about it sooner I’m sure there are many PhDs to be had out of TfL geekery! The art, design and architecture all contributes to its history, but the very simple fact that it’s been around for over a century and a half gives it huge status for a history nerd! 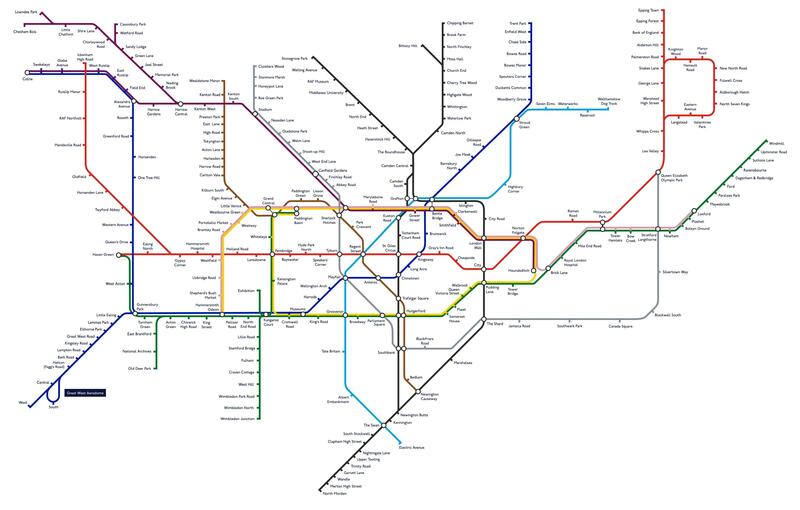 Ah, the psycho-geography of London Transport! I love walking down a street and knowing that there’s an abandoned station along it. That once upon a time, this was a place deemed worthy of a station. But that once upon a time, a few years later, it wasn’t. 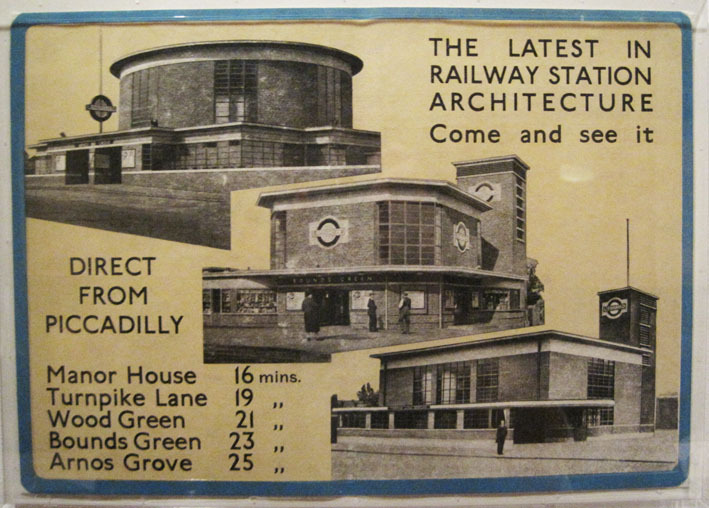 [Or, in the case of Aldwych, was never really worthy of a station in the first place!] Perhaps the building’s still there; perhaps it’s been converted into something else, but still bears the tell-tale brickwork or signage; or perhaps it’s just a memory and a chapter in the nerdy book station of the London Transport museum. 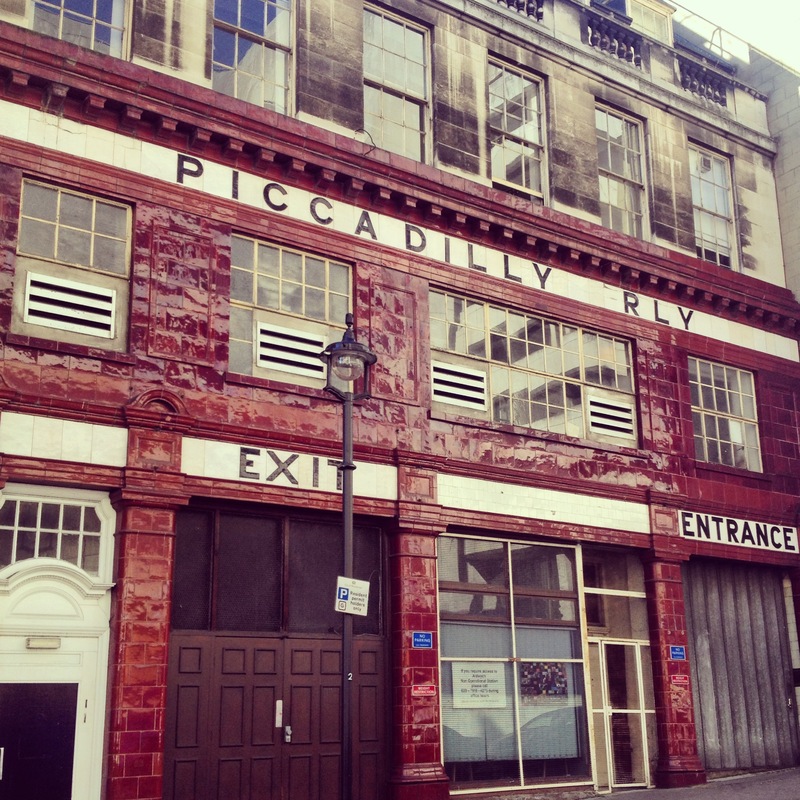 The side entrance of the now unused Aldwych. And that’s the final thing. I love London Transport because it loves itself! As we approach the end of the Year of the Bus (and the inevitable museum shop new year sale in which I think I will be very happy), a year that followed the tube’s 150th birthday, it’s clear that its history really is worth celebrating. 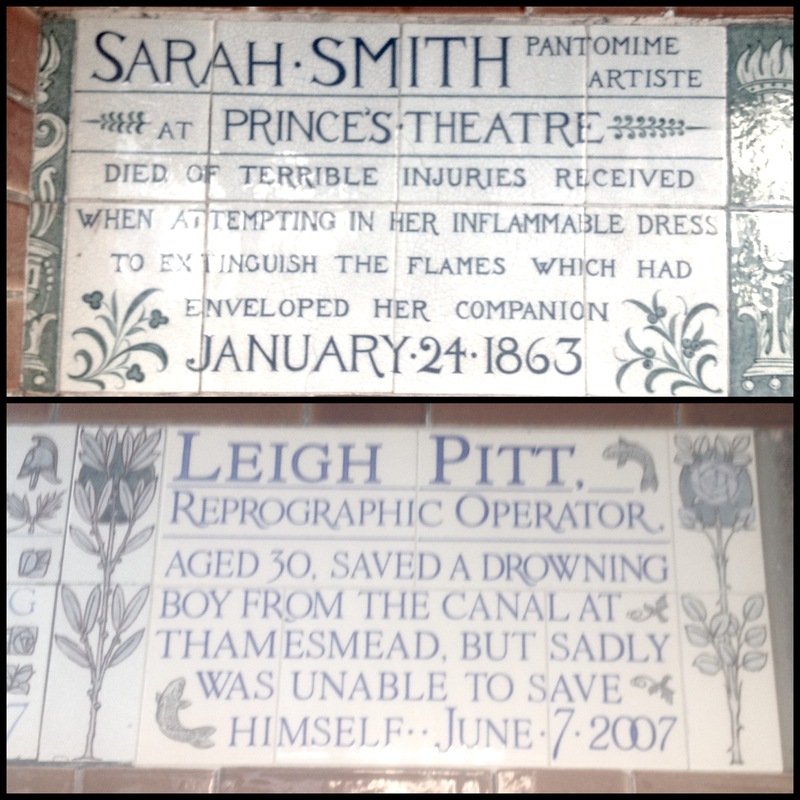 I think knowing and understanding the history helps Londoners to appreciate what they have. We still use the same stations built 151 years ago. I regularly stand on a platform at the start of a tunnel that Brunel built in the 19th Century. 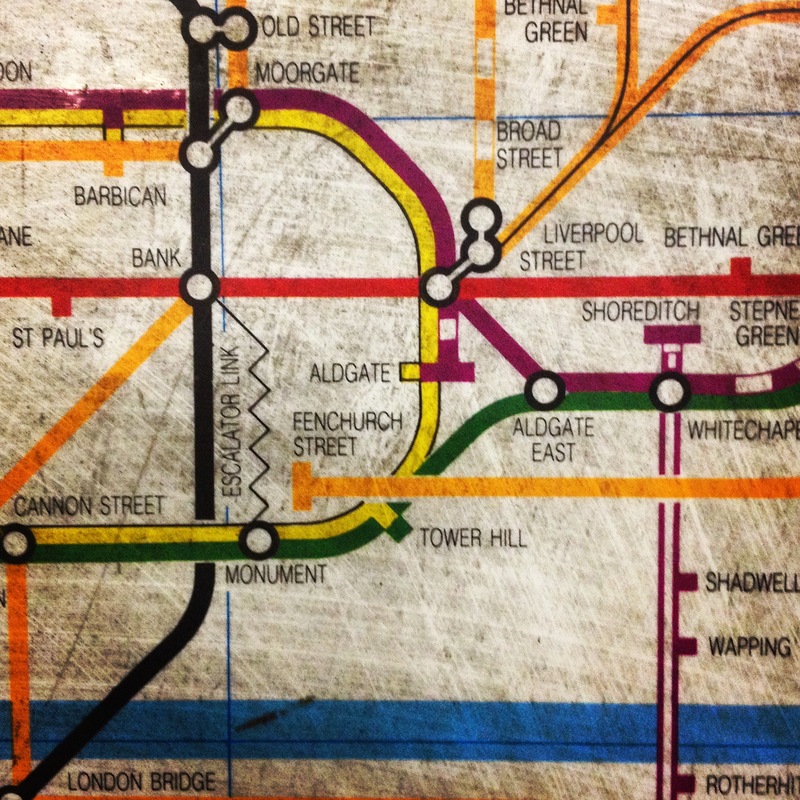 The tube’s map still has a huge amount it owes to Beck, despite regular changes and updates. 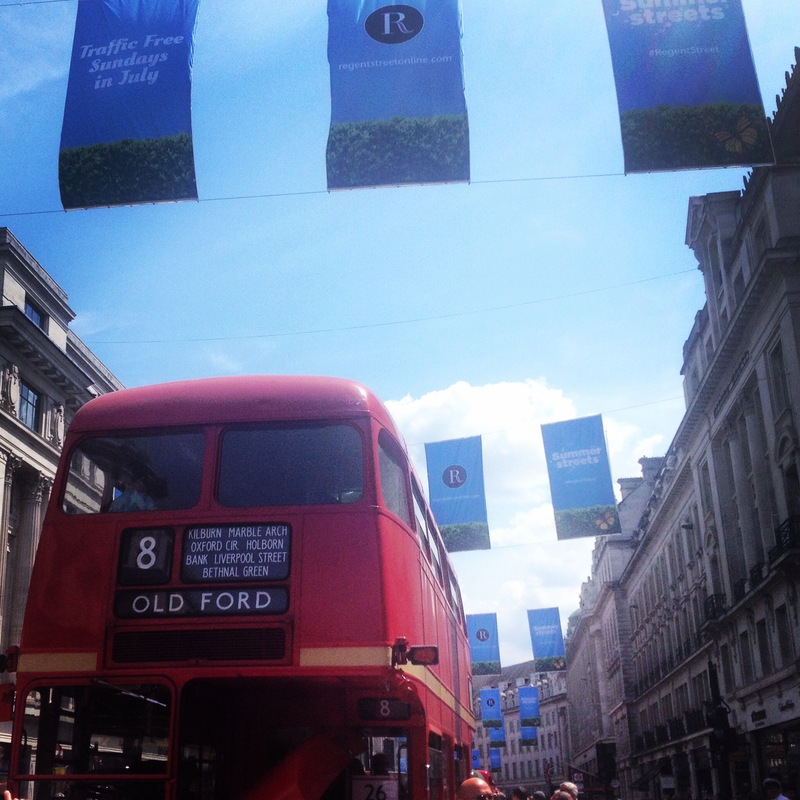 Year of the Bus celebrated on Regent’s Street. 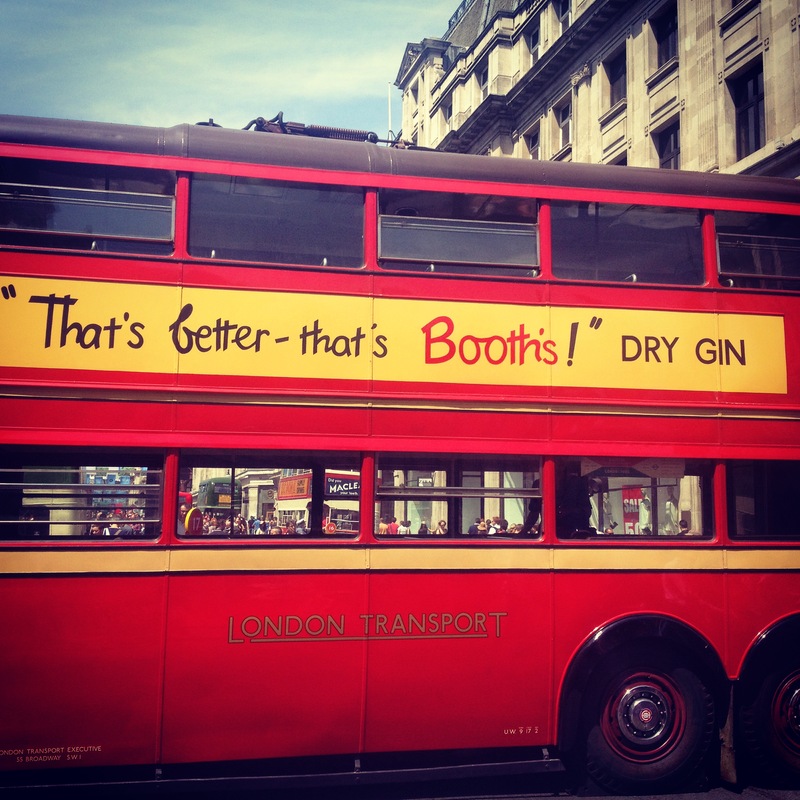 Honestly, where would we be without you London Transport?? First up, a rather niche piece of TfL fun – that will make sense only to devotees of the BBC’s flagship film review radio programme. (Aka Wittertainment.) 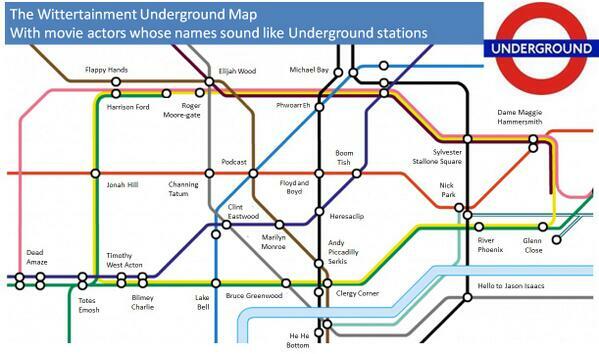 A couple of weeks ago, there was a conversation about film-related names that sound like tube stations, so someone made a map. Genius. You’ll note that some station names aren’t ‘names’, rather random phrases like ‘Totes Emosh’, ‘Dead Amaze’ and ‘Clergy Corner’. These are Wittertainment in-jokes and at this point, I’d like to publicly congratulate Revd Phil Hoyle for making his debut in the aforementioned Clergy Corner the week after he was priested. An inspiration to all of us clergy/nearly clergy types who aspire to such heights. 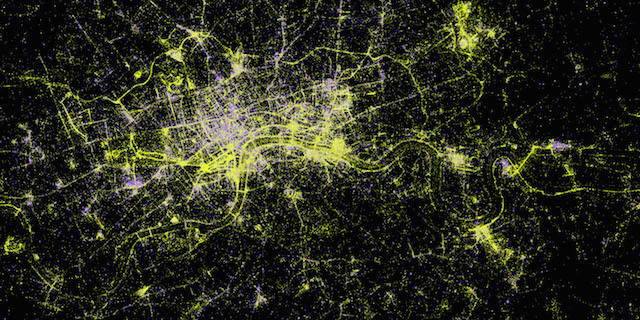 Continuing the London theme, there’s a trend of visualising various bits of data over maps – and this one of photos taken in London is particularly pretty. Yellow dots are outdoor photos, purple at night/indoor. It’s a great way of spotting tourists’ favourite spots, as well as other concentrations of photographers – like gigs at the O2 in Greenwich. In other map news, the history geek within me was very taken with this animation of the changing borders in Europe over the last 1000 years. You need to watch rather closely, and potentially several times, in order to take it all in, but it’s a brilliant piece of work. Fun and educational! Finally, just to keep things incredibly diverse, some text-based fun. Thanks to Twitter, I’ve been alerted to the existence of a blogger who has been chronicling her responses to the movies that defined her coming-of-age years, when watched in the present day. It helps that she’s a similar age to me, so the films are ones that are favourites of mine too. These are LONG blog posts, that’s the whole point of the exercise. Take her most recent one on While You Were Sleeping, published last month: ‘While You Were Sleeping: 19 Years and 6,000 Words’. But they are fun to read, especially if you’re a contemporary of hers. Trust me! Other films featured so far are 10 Things I Hate About You and She’s All That. You won’t look at either in the same way again. Apologies for the hiatus. When one has to hand in 8,000+ words of essays, immediately followed by a similar number of words across 3 sermons, the desire to write any other words is minimal! Still, the break means that there’s plenty of fun for this week! 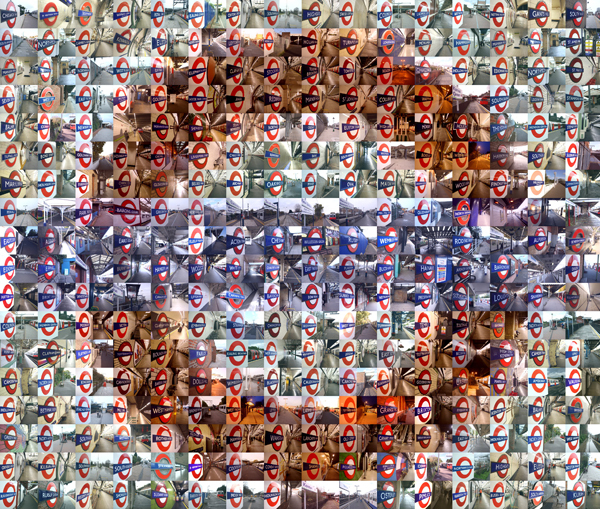 Moving on to the better known London underground network… Someone this week announced that they’d visited every single tube station and taken a photo of the roundel there. Excellent work Mr Mike Turnball! A screenshot from his Flickr stream. 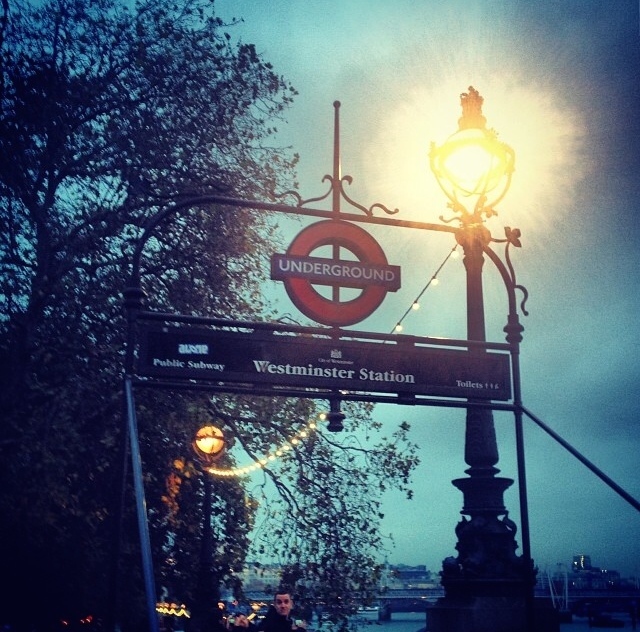 Steve Cotton’s Roundel, via Londonist. It’s amazing what you can discover in parts of the city that you thought you were familiar with. One diversion, or an attempted short-cut, and all of a sudden you’ve made a delightful discovery. 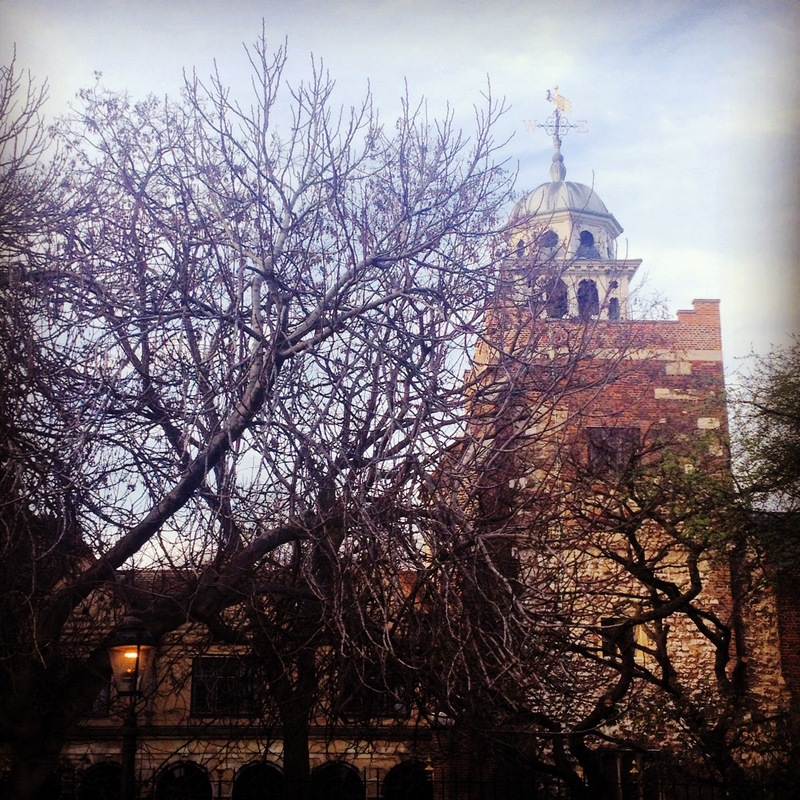 Lately, I’ve taken to running (on Saturdays – on weekdays, this would be a no-go) through The City, particularly in and around Bart’s Hospital, Smithfield and the Barbican. It’s an area I often walk through, but my most recent discovery was made when realising I’d taken the wrong road and needed a route back to the right one. Spotting a park, I realised it would work as a cut through, so I hot-footed it through it. Several people seemed to be familiar with it, which I considered slightly odd, given that I’d never heard of it and it’s virtually on my patch. Then I had a tweet that mentioned some memorials – someone else concurred that these were a must-see and I realised that I’d clearly missed something. On that particular afternoon, I entered on the Aldersgate side (next to a Wesley tribute) and had only ventured as far as a bench by the fountain before turning around and leaving again. On my run, I’d entered at Little Britain [yes, that’s an actual street name] and passed through to Aldersgate – so the key feature of the park hadn’t featured either. What I had missed is actually visible in the above photo. Beyond the fountain, beneath the low roof, is a collection of memorials to those who have died in saving others – officially known as ‘The Memorial to Heroic Self Sacrifice’ by George Frederic Watts. It’s a collection of plaques remembering just some of the many who have committed such acts and once I successfully found the park’s key feature this afternoon, I realised just how utterly beautiful it is. 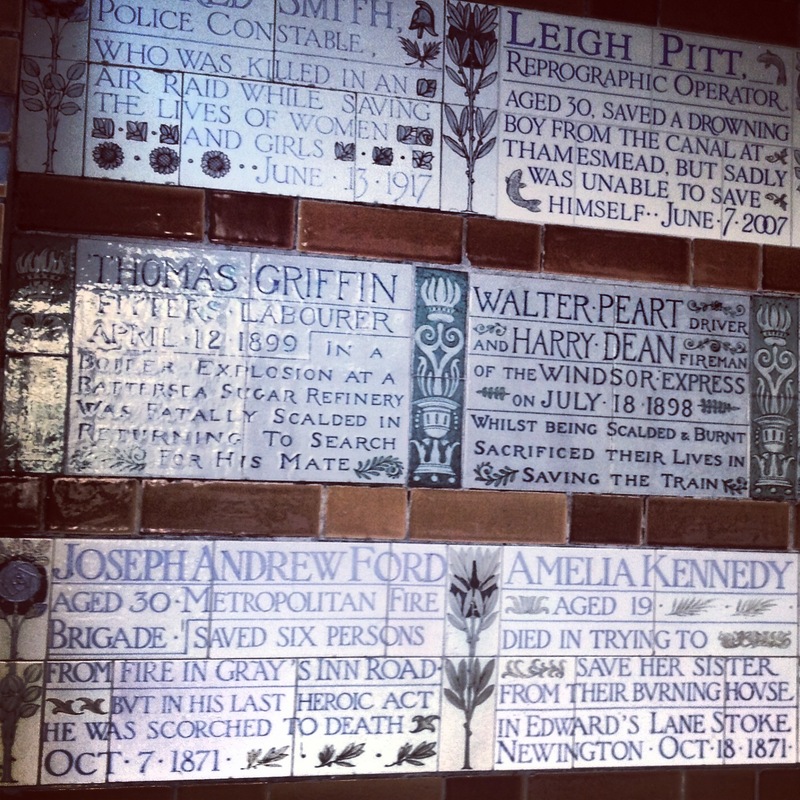 The park in question is known as Postman’s Park, owing (thanks to Wikipedia) to its proximity to the former GPO and the fact that postmen liked to sit there – got to love a honest-to-goodness place name! 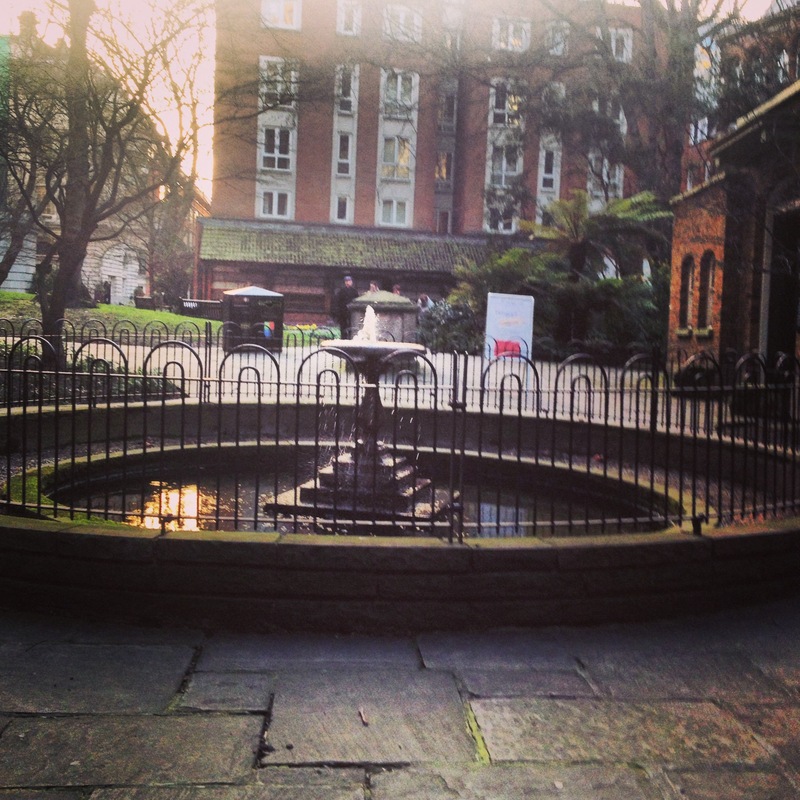 It’s just across from St Paul’s station, in between Little Britain and Aldersgate, and is thoroughly worth a visit. Super lovely and well-worth a wander to, should you ever be in the vicinity. Seriously, this city surprises me on a near-daily basis. Long may it continue!